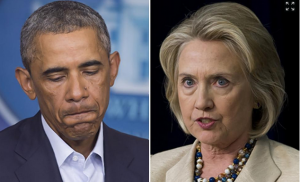 The contents of the call were only shared with Obama’s and Clinton’s closest aides. Deputy National Security Adviser Ben Rhodes sent an email on the call to State Department officials Jake Sullivan and Philippe Reines, and National Security Council spokeswoman Bernadette Meehan. The emails also show that Rhodes, on the night of Sept. 11, 2012, and before the attack was over, endorsed a statement from Clinton that cited an anti-Islam Internet video.